Snæfellsjökull volcano – is it a volcano or a glacier? It is both! Is it a volcano? Is it a glacier? It’s both! Snæfellsjökull volcano is a glacier-capped volcano in Iceland and the highlight of the Snæfellsnes Peninsula, a stunning area in western Iceland. Standing at an impressive 1446 metres high, the Snæfellsjökull volcano in Iceland is one of the country’s most notable landmarks and can sometimes even be seen from Reykjavik. What are the top things to know before visiting Snæfellsjökull volcano? Read on to find out. 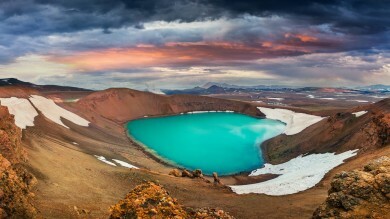 Snæfellsjökull is undeniably one of Iceland’s most famous attractions, due in a large part to Jules Verne’s celebrated 1864 novel, Journey to the Center of the Earth. In this novel, the main character happens to find a passage leading from a caldera (a form of crater) at the top of Snæfellsjökull volcano down to the very centre of the earth. Today, you too can climb to the volcano’s glacial summit (with the help of a trained guide) to see what you can discover there! While you are at it, check out other amazing glaciers in Iceland that will leave astounded! The volcano is thought to be 700,000 years old (let that sink in for a moment) and carries significant links to Iceland’s history. In fact, one of Iceland’s most popular sagas from the late 14th century, Bárðar saga Snæfellsáss, tells of a half-human-half-troll creature named Bárður who is thought to be the “guardian spirit of Snæfellsjökull”. Snæfellsjökull is a stratovolcano, meaning it has a cone shape and is built up of many layers of lava, ash, tephra and pumice. Some stratovolcanoes, including Snæfellsjökull, are also covered in calderas – collapsed craters in the volcano’s surface. Snæfellsjökull is an active volcano. It last erupted nearly 2000 years ago, and no one is quite sure when the next eruption will take place. Due to global warming, the Snæfellsjökull glacier is diminishing in size and is currently about 11 square kilometres. In August 2012, for the first time in recorded history, there was no ice to be found at the glacial summit. Despite its size, the Snæfellsjökull glacier is one of the most visited glaciers in Iceland. How does a glacier form on top of a volcano? The glacier’s formation begins with a first snowfall. When that snow doesn’t melt, subsequent layers of snow fall on top of it, causing the lower layers to compact into ice. Flash forward hundreds and thousands of years, the compacted snow gives off a blueish tint, becomes static, and evolves into a glacier. Be sure to check some of the best things you can do while visiting a glacier in Iceland. Some people claim the Snæfellsjökull glacier is one of the world’s seven chakras (spiritual or energy centres). It is true that the glacier has magnetic properties, causing some visitors to the area to suffer from insomnia. In addition to its glacier, the Snæfellsjökull volcano is covered in craters and lava fields, leading down to a landscape full of caves, sea cliffs and incredible beaches of black sand. Several companies offer tours of the Snæfellsjökull glacier by either snowcat (a tracked vehicle with an enclosed cab, designed to carry multiple people) or snowmobile (a single person tracked vehicle that you operate yourself). 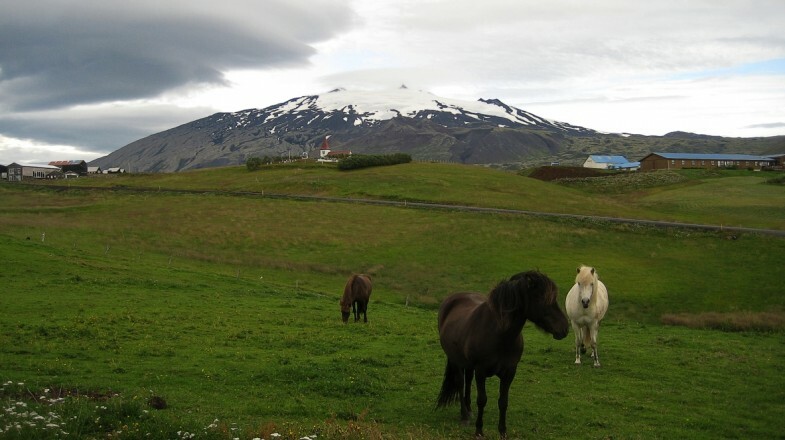 Additionally, some tour companies offer hiking tours to the Snæfellsjökull glacial summit. The hike can take anywhere from five to seven hours (twelve hours if you include rest periods) and can only be done with specialised equipment due to the glacier’s crevasses. 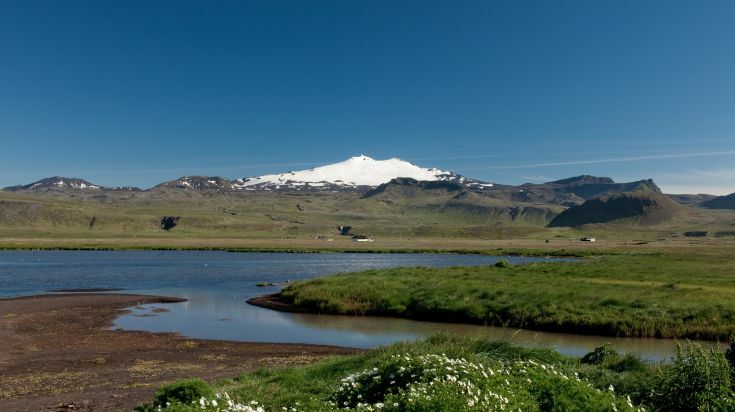 Once you are finished with your visit to the Snæfellsjökull glacial volcano, be sure to check out what the rest of the surrounding Snæfellsjökull National Park has to offer. From summit views to sandy beaches, this park is the only one that spans the mountaintops down to the coast. The Snæfellsnes Peninsula, where Snæfellsjökull is located, is easily accessible from the capital city of Reykjavik. The drive from Reykjavik to Snæfellsjökull is just under 200 km and takes just over two and a half hours by car. While this may seem long, the journey is far from daunting as you are bound to pass incredible views as you drive across the peninsula towards the volcano. 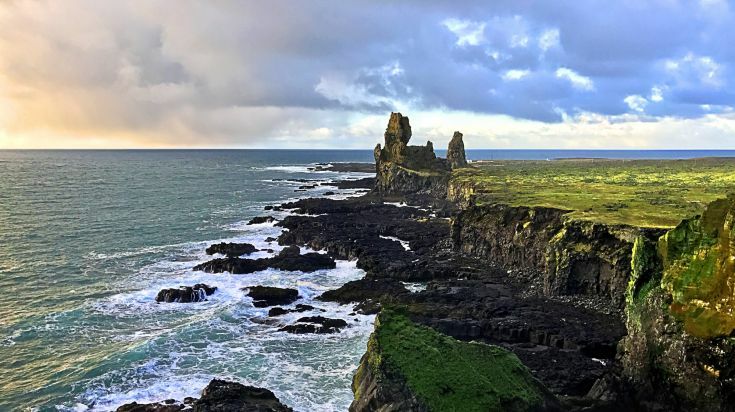 If you are not planning to rent a car in Iceland, several tour operators offer day trips to the Snæfellsnes Peninsula, including a lengthy stop at the Snæfellsjökull glacier. These trips are typically about 11 to 13 hours in duration. Check out our complete guide on the Snaefellsnes Peninsula to know more about it. 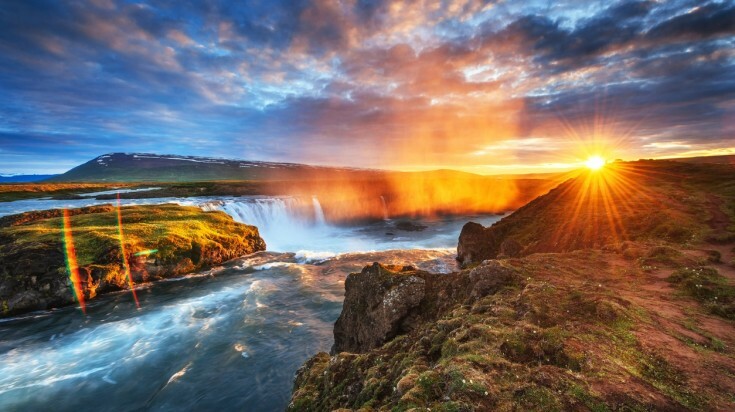 Generally, the best time for visiting this part of Iceland is the spring and summer months, ideally between May and September. This is because the Snæfellsnes Peninsula is known for windy and icy conditions during the winter, making driving to the area difficult at times. When it comes to the Snæfellsjökull in particular, the summer is best for climbing the volcano. Skiing is sometimes available during the spring. 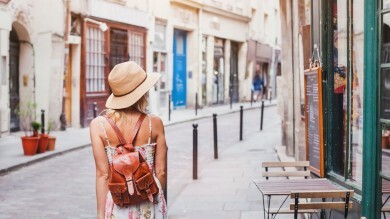 Some tours shut down during the winter months due to weather conditions and low numbers of visitors. Glacial hikes, for example, tend to run only between June and September. 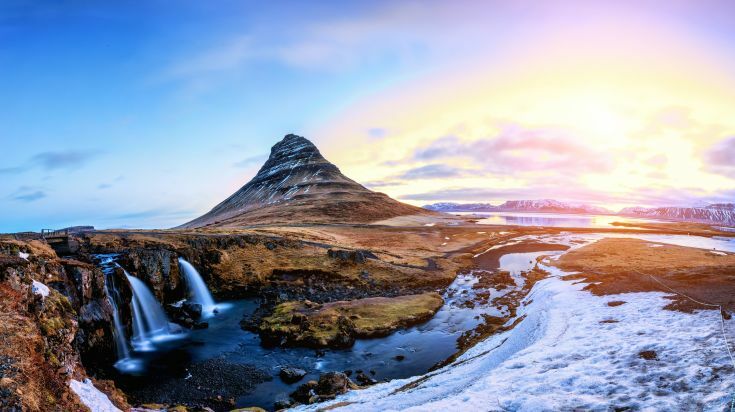 If you are hunting for more then please check out the top things to do in Iceland — visiting this otherwordly country once is just not enough!